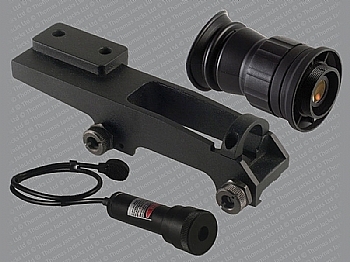 Optional accessory kit for the Spartan monocular consisting of a weapon mount and replacement eyepiece. Converts the unit from a hand-held monocular to a short range weapon mount unit. Weapon mount fits Weaver or airgun rails. 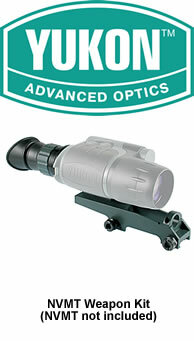 Eyepiece gives extra eye relief required for weapon mount use, but cuts magnification of the monocular by 50%. Please note that this accessory will not work with the 24021WP NVMT1 WP, 24022WP NVMT2 WP or 24023 NVMT G2+. As above but includes Laser Pointer.